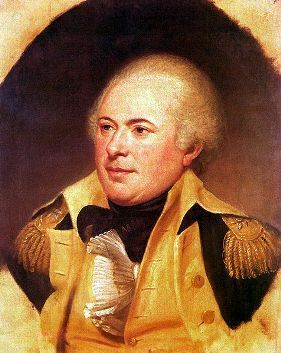 "... officers of the Continental army during the war of the Revolution, April, 1775, to December, 1783"
William Howe sent a letter to John Burgoyne to tell him that he would invade Philadelphia rather than move up the Hudson River to join John Burgoyne's northern army. Brig. 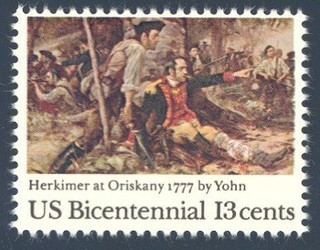 Gen. Nicholas Herkimer and 800 NY militiamen march to relieve Fort Stanwix and are ambushed at Oriskany. Herkimer is mortally wounded. American patrol surprises British foraging party, wounding and capturing some soldiers. 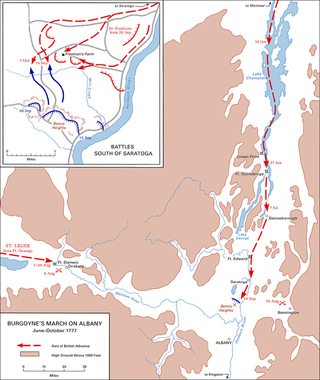 11:00 American patrol and scouts on the east bank of the Hudson detect Burgoyne’s advance southward in three columns, Fraser, Hamilton, and Riedesel commanding from west to east. 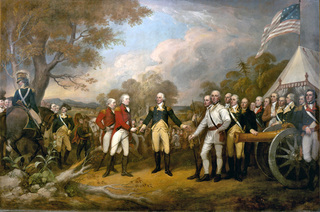 Burgoyne’s council of war with Phillips, Riedesel, and Fraser and presented plans for a second reconnaissance. 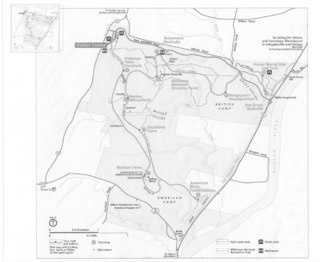 If the rebel position was revealed to be too strongly fortified, Burgoyne allowed a contingency for retreat to Battenkill 11 October. Otherwise, he planned to attack in force 8 October. 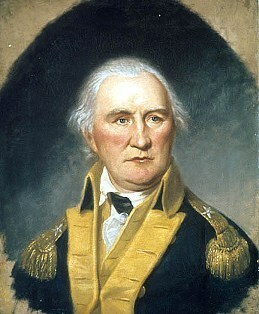 Burgoyne dispatched BG Simon Fraser's 1,500-man Advanced Corps with several cannon to probe and bombard the American left. The group was delayed in the Barber Wheatfield, as some of the soldiers were tasked with harvesting the much-needed ripened wheat. 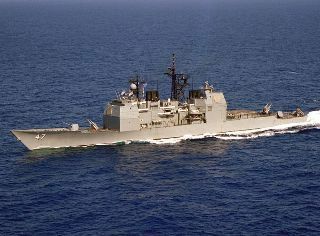 Around mid-afternoon, the Americans, aware of the British movement, attacked. Their superior force was able to push the British back. 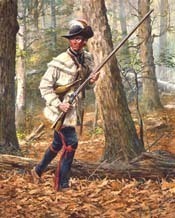 As the British withdrew, Faser was mortally wounded by Tim Murphy, one of Daniel Morgan's Virginia Continental riflemen. British forces hastily fell back to one of their defensive positions, the Balcarres Redoubt, under command of Lord Major John Balcares. It was strong, well defended, and held back the Americans. Several hundred yards north, the Breymann Redoubt was not as well positioned and was defended by less than 200 German soldiers and officers vastly inferior to nearly 1,300 attacking American soldiers. 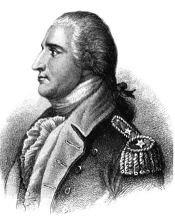 As some of the American troops began to circle around the left side of the Breymann Redoubt, American General Benedict Arnold arrived on the scene. Caught up in the flow of American soldiers, he rallied the men for a decisive attack on Breyman's Redoubt and fell seriously wounded in the left leg. By nightfall, the Americans held the field on the far right of the British now vulnerable to encirclement. They did not press the advantage and the British fell back to their Great Redoubt. 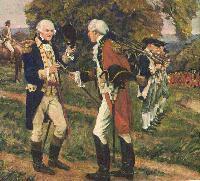 Simon Fraser was buried in the Great Redoubt the morning of October 8 and Burgoyne begins his retreat. 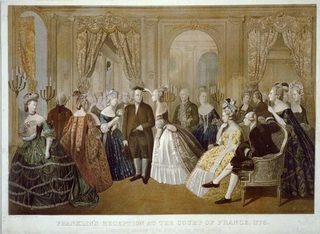 The Treaty of Amity and Commerce and the Treaty of Alliance between France and the United States are signed. What Is A Corporate Staff Ride & What does it Give You? What is a Corporate Staff Ride and What Does it Give You? Utilizing an experiential-learning approach and the setting of an actual battlefield, the Applied Battlefield Concepts™ Corporate Staff Ride is a short duration, top-level management development and leadership training tool that delivers a uniquely powerful and rewarding team-building experience. It is a proven, cost-effective, adaptable, repeatable and flexible solution for meeting internal training metrics and broader goals for improvements in decision making across the entire enterprise. 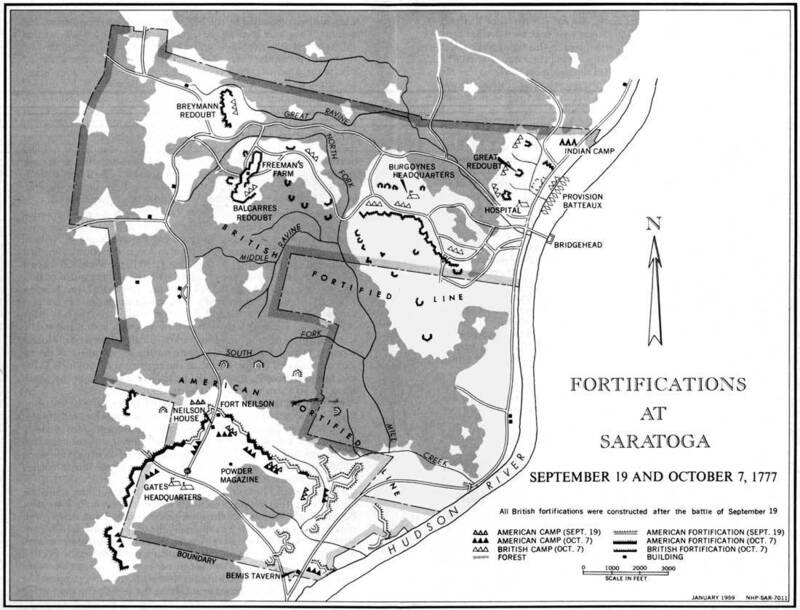 The Battle of Saratoga offers a rich environment for an experiential training experience where battle functions as a metaphor for competitive conflict. The complex interplay of political and economic factors, foreign power interests, personality conflicts, and a rapidly changing organization all come together in a dramatic setting worthy of the pen of one of the antagonists, dramatist and General John "Gentleman Johnny" Burgoyne. Just minutes from the Albany International Airport, the Saratoga National Historical Park provides a wonderful venue to conduct an intense team-building exercise at the site of one of the pivotal battles in world history. The Saratoga Corporate Staff Ride is a full day visit to the most decisive strategic ground of the American Revolution. 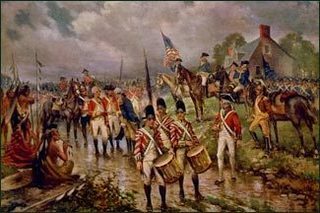 The victory there ended with the surrender of an entire British army of nearly 6,000 men to the Continental Army, as well as the direct intervention of France into the struggle. 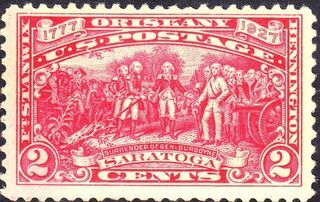 The Battle of Saratoga Corporate Staff Ride frames the battle in the context of domestic political events, as well as the conflicting global interests of England, France and the other major powers. 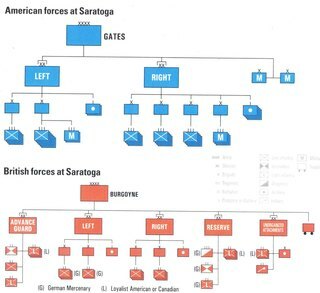 The late summer and early fall of 1777 is one of those rare moments when grand strategy and theater-wide operations are the stage for a rich weave of successful tactics, innovative engineering, legendary leadership examples, effective decision-making, and those pesky intruders ... personality, ambition, envy & chance. The day-long exercise examines the campaign through the decisions of the commanders and the words and actions of ordinary soldiers and officers, alike, while standing on the same ground which remains remarkably unchanged. General Horatio Gates and his team, a fractious but talented group, performed brilliantly on the world-historical stage. The British and German officers were professionals, highly trained and brave as well, veterans of the colonial wars, but lost. How well would you do? American colonial veterans of the warfare before the revolution knew that independence would be achieved only if large numbers of ordinary Americans – “rank and file” soldiers - could be quickly assembled and trained in the military drill and skills of the time. Those tactics had, in many fundamental ways, changed little since the time of Marlborough at Blenheim in 1704 or the campaigns of Frederick the Great just 20 years before Saratoga - well-managed, close-order battlefield maneuver of regiments and brigades, all focused on delivering concentrated fire by volleys of musketry followed by the bayonet. These "linear" tactics were consistent with the weaponry of the time, stressed the offensive, the skilled use of terrain, and as always, the paramount importance of personal leadership, especially the gift for "reading" a battle. Assault troops advanced in line, two ranks deep, with cadenced steps according to a set pace, stopping to fire volleys on command, and finally rushing the last few yards to pierce the enemy line with the bayonet. Infantry, often called “Queen of the Battlefield”, was the main combat force. Each enlisted man - the 'rank and file' - was equipped with a modern, well-machined, craftsman-built, single-shot, muzzle-loading smoothbore musket with an effective range of about one hundred yards. Cavalry was useful for reconaissance, foraging, raiding, but was rarely decisive. Artillery was becoming more important, consistent with technical advances in range, specialized ordinance, and improved accuracy. The mainstay was the British 6-pounder with a range of 800 yards firing solid shot and 500 yards firing anti-personnel grape shot. The Advanced Guard is the party of either horse or foot, which marches four to five hundred yards before the body, to give notice of any danger." In the wars of the eighteenth century a thin force of infantrymen preceded the main battle line. Their purpose was to screen the advance or retreat of their own main body, to dissipate the impact of the volley from the enemy's line, and otherwise soften that line for the climactic assault with bayonet. Such an assault commonly began at a distance of fifty yards or less from the foe. As a result, one of two things took place: either a savage hand-to-hand encounter, or a collapse and retreat by one of the lines, usually followed by a pursuit. In any case, the infantrymen who moved out ahead of the line were trained to aim at individuals, to protect themselves by using cover, and to operate with an interval of several yards between them. 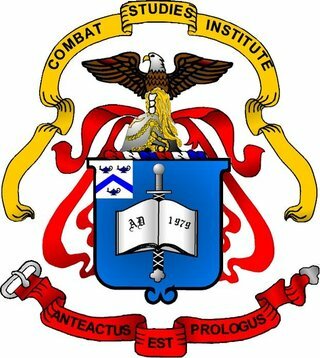 They came to be called "light infantry." During the 18th century the original function of the grenadier, hurling grenades against the enemy, was lost and since then the name has been applied to elite troops. The British Army used Grenadiers, as well as Light Infantry, as flank companies; often the biggest and strongest of the men, the Grenadiers were frequently detailed for particularly hazardous combat assignments. 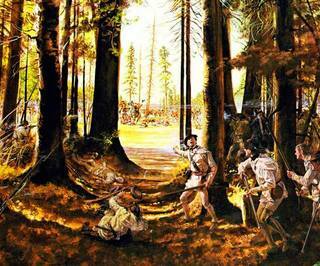 Daniel Morgan's riflemen were expert marksmen and proficient in irregular warfare tactics. They were regarded by Washington as "chosen men, selected from the army at large, well acquainted with the use of rifles, and with that mode of fighting which is necessary to make them a good counterpoise to the Indian." 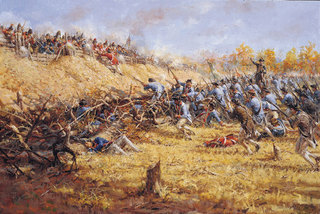 The Corps played a key role in the Battle of Saratoga where riflemen were deployed in the front to concentrate accurate fire on selected targets, especially officers and artillerymen. 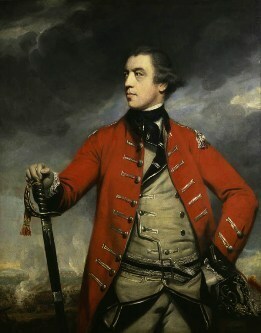 Early claims that Timothy Murphy mortally wounded British Brigadier Simon Fraser on October 7, thus ending the British momentum at a crucial moment in their advance, have been mostly debunked. 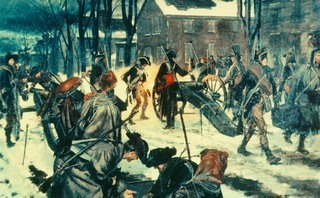 Although the European forces of the era relied extensively upon artillery support in European conflicts, the use of artillery was greatly hampered during the American Revolution. This was due to the scarcity of both guns and horses in the Americas. 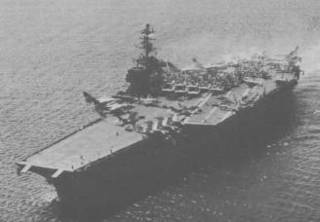 Also, the hilly and forested terrain of the continent hampered the effectiveness of artillery fire. 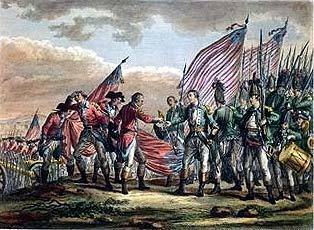 However, both the British and American armies found ways to use indirect fire during the the Revolution. Artillery pieces used were cannon, howitzer, and mortar. Washington’s staff generally corresponded to contemporary European armies. 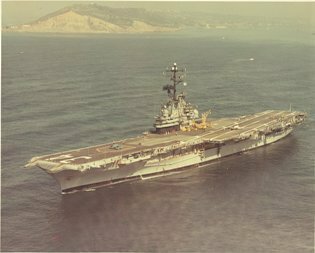 One of the critical staff officers was the Quartermaster General, responsible not only for transportation and delivery of supplies but also for arranging the camp, regulating marches, and insuring the army’s watercraft. There were also an Adjutant General (responsible for issuing orders for the commander and administrative paperwork), a Judge Advocate General, a Paymaster General, a Commissary General of Musters, several Commissary Generals of Provisions (procurement and issue of rations), a Clothier General, a Chief Surgeon, and a Chief Engineer. 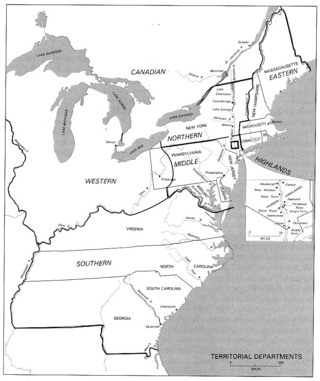 Each Continental Army Department, eg. 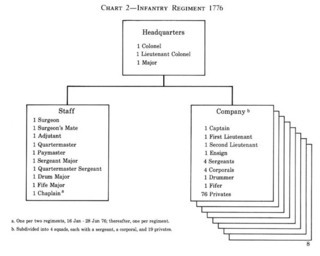 General Gates’s Northern Department, had staff officers in these positions, designated as deputies to the officers at Continental Army headquarters. Soon after Saratoga, the Continental Army introduced a new innovation—the Inspector General. This officer provided a focal point for developing standard battle drills and written tactical texts and evolved into the de facto chief of staff. The modern concept of a general staff that acts as a sort of collective “brain” for the commander, as well as responsible for personnel, intelligence, operations, logistics, and communications, had no real equivalent in the eighteenth century. For advice on strategy and operations, commanders like Washington and Burgoyne relied on a council of war made up of principal subordinate commanders. 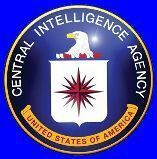 Conforming to his original instructions from Congress, he usually consulted the council before making major decisions. Gates did not make use of this prerogative. 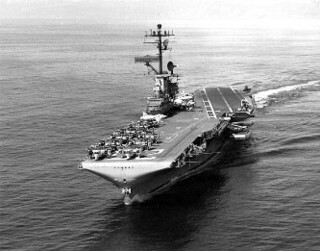 Generally, the system was similar for brigades and higher units when they were formed, with considerable discretion exercised by the commander. The typical regular continental infantry regiment staff consisted of the Colonel (mostly a titular leader), Lt. Colonel (the battlefield commander), a Major & 3 Aides, Adjutant, Quartermaster & Asst. 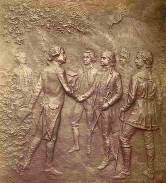 Paymaster, Surgeon & Asst., Chaplain, and two Fife & Drum majors, 15 officers and men. Movements were communicated and coordinated in ways that had not changed for centuries. Drums, flags, couriers, screams. The close-order formation and the officers' control over the company, the regiment, the brigade were essential in order to concentrate the firepower of the relatively inaccurate weapons. Bayonet charges might then succeed in breaking the enemy line because infantry could rush the last eighty yards before the defending infantrymen could reload their muskets after firing a volley. 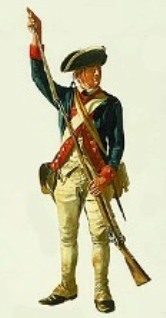 Learned's Continental Brigade, 3 MA Regular, 1 NY Militia Regt. Poor's Continental Brigade, 3 NH Regular, 2 NY and 2 CT Militia Regts. 1st Brunswick Brigade: Lieutenant Colonel Ludwig Wilhelm von Speth, 3 Regts. 2nd Brigade: Lieutenant Colonel von Gall, 2 Regts. "Orderly book of Lieut. Gen. John Burgoyne, from his entry into the state of New York until his surrender at Saratoga, 16th Oct. 1777 (1860) "
LTC 24th Regiment of Foot, with rank of "Brigadier General, in America only" in 1776. Commander, Advance Corps in the Burgoyne Campaign, including the grenadier battalion, light infantry battalion, 24th Regiment, company of British marksmen (commanded by his nephew, Captain Alexander Fraser), Indians, Tpories, Canadian militia and artillery. He was mortally wounded at Saratoga, October 7, 1777, reputedly by Pvt. Timothy Murphy, Morgan's Rifles. Baroness Frederika von Riedesel witnessing his death, later wrote, "I heard him often exclaim, between moans, 'Oh, fatal ambition! Poor General Burgoyne! My poor wife.'" He was buried in the Great Redoubt, overlooking the Hudson." Educated in law at Marburg, at 18 became an ensign in a Hessian battalion in English service. 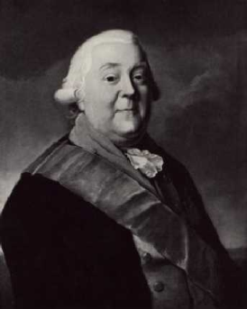 Aide to Prince Ferdinand of Brunswick in the Seven Years' War and rapidly promoted. Captain of the Hessian Hussars (1760), Col. of the Black Hussars (1762), adjutant-general of the Prussian Army (1767), and Colonel of carbineers (1772). 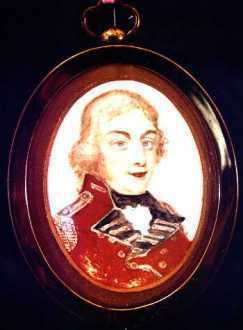 Advanced to the rank of major-general and given command of the Brunswickers on the left of Burgoyne's Expedition. Steady, cool-headed, professional. The Baroness with her 3 daughters accompanied her husband to Canada in 1777, and was with him during the entire Burgoyne campaign and afterwards. 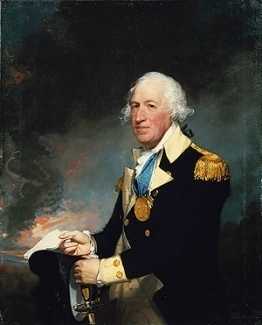 She tenderly nursed Gen. Simon Fraser on his death-bed and while the British army were besieged by Gen. Horatio Gates ministered to the wounded and dying after sharing her own scanty rations with the half-starved soldiers and their wives. Her letters to her husband and to her mother are dramatic eyewitness testimony. Madame Riedesel's letters were published in Berlin in 1800 and in English in New York in 1867 (text available below). 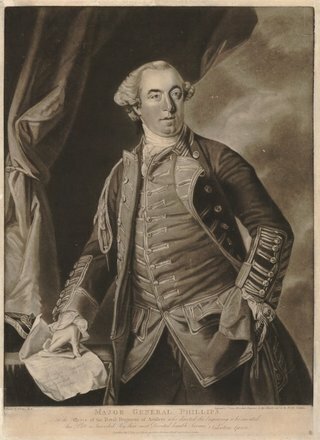 ".The diary of the German Baroness von Riedesel offers a vivid picture of General John Burgoyne and the British army's march from Canada to surrender at Saratoga." 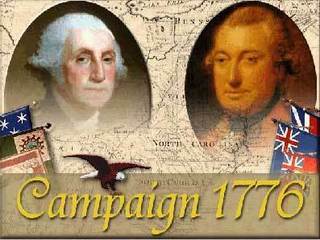 "At two o’clock in the afternoon of October 10, 1777 a fierce cannonade began. 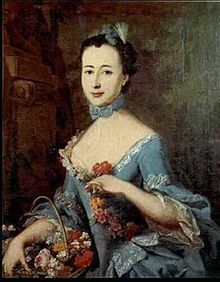 The youthful baroness, Frederika Charlotte Louise Riedesel, was ordered by her husband to seek refuge for herself and their two little daughters in a nearby house.."
Burgoyne surrendered his army just a few miles north of the battlefield on 17 October 1777. Of the 10,000 British and German soldiers who had marched from Canada only 3,500 were fit for duty at the surrender. The list of famed regiments who surrendered their colors was long and reached back to the beginning of the British Army. The same was true for the German regiments who laid down their colors. For most, the ordeal had just begun. "This Army has not been able to oppose Genl. Howe's with the success that was wished and needs a Reinforcement. I therefore request, if you have been so fortunate, as to oblige Genl. Burgoyne to retreat to Ticonderoga.."
"Since the action of the 19th ultimo, the enemy have kept the ground they occupied the morning of that day, and fortified their camp. The advanced sentries of my pickets are posted within shot, and opposite the enemy's. Neither side have given ground an inch." "Dear Sir: I have your favour of the 20th. inclosing a Copy of Genl. Burgoyne's Capitulation which was the first authentic intelligence I received of the affair, indeed I began to grow uneasy and almost to suspect that the first accounts you transmitted me were premature. As I have not received a single line from Gen. Gates, I do not know what steps he is taking with the Army under his Command." "Sir: By this Opportunity, I do myself the pleasure to congratulate you on the signal success of the Army under your command, in compelling Genl. 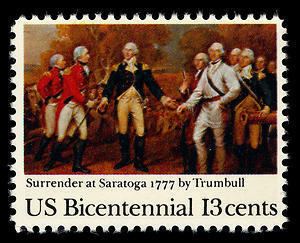 Burgoyne and his whole force, to surrender themselves prisoners of War. ..."
Note on the Charles Wilson Peale Portrait: Peale probably painted his museum portrait of Morgan when the hero of Cowpens passed through Philadelphia in 1794 on his way to the western frontier at the time of the Whiskey Rebellion. This painting was thought to be a copy until recent conservation removed earlier overpaint, uncovering the distinctive scar on Morgan's upper lip. Another Peale portrait of the subject (in uniform, but posed differently, and possibly by the artist's son Rembrandt) is now owned by the Virginia Historical Society. ... detailed informtion on Daniel Morgan from National Register of Historic Places application for Morgan's mansion , "Saratoga"
... "the most consummate artist of treason that the nation ever possessed"
"Published 1816, Printed by Abraham Small, Philadelphia"
Personal Note: John R. Elting is the gold standard for historical research concerning the Battle of Saratoga. 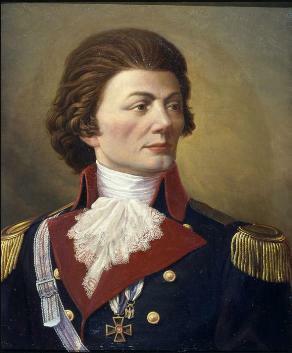 Elting was a US Army Colonel and military historian who specialized in the organization of the 18th and 19th century military of the American, British, and other European nations. 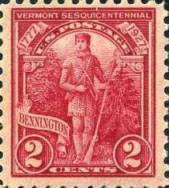 He thoroughly researched the Battle of Saratoga as well as the events leading up to it using primary sources such as written orders, correspondence between key figures, memoirs, journals, and written troop returns. The last source, troop returns, provides the most accurate estimations of unit sizes at the various battles by providing the numbers fit for service, sick, and even those on furlough. These figures are conveniently organized in the appendices of his book. In addition, Elting devoted a significant amount of time on the battlefield to compare the historical accounts to his own observations of the terrain.